Hi Karli. 8 servings. 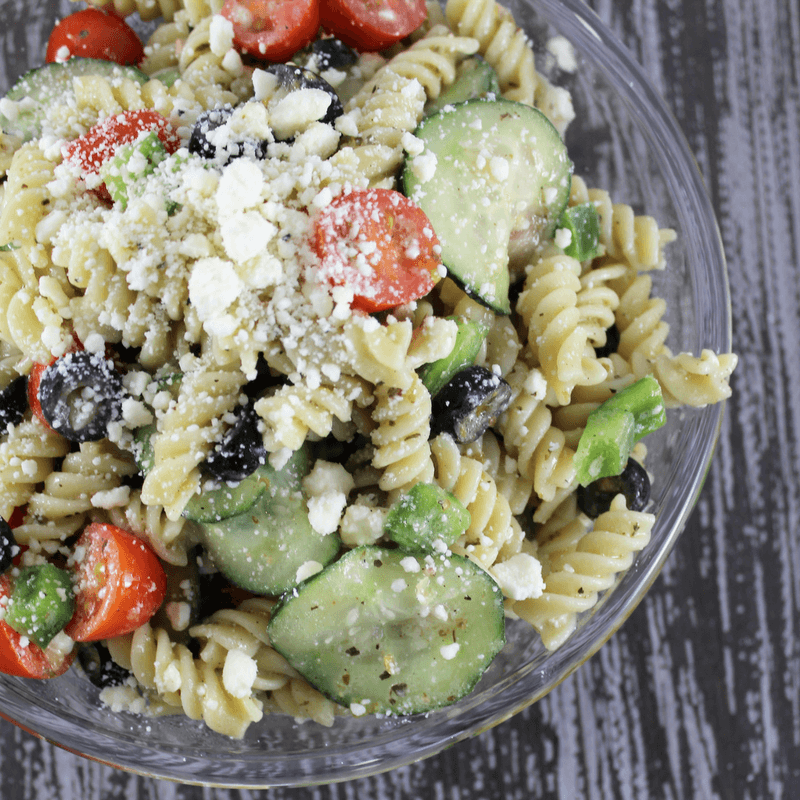 As a main dish, you can feed 4-5 and as a side dish, 8 to 10. Love this, it will make a great side dish to grilled chicken! Its one of Aarons favorites and the kids love it too. This looks amazing! I’m totally going to try this out! 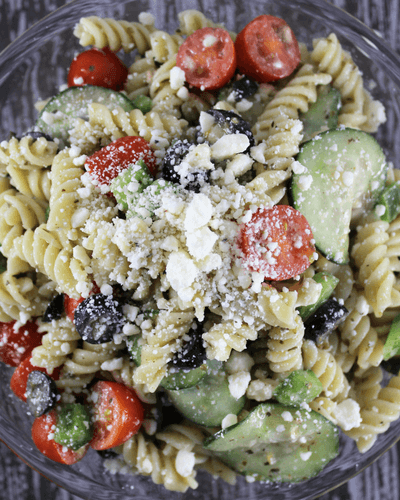 I love pasta salad in the summer! 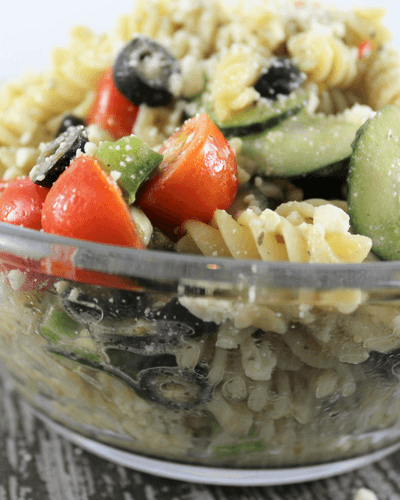 Omg I love Pasta salad! Following you on Pinterest I can’t wait to try the recipe. I followed you back! 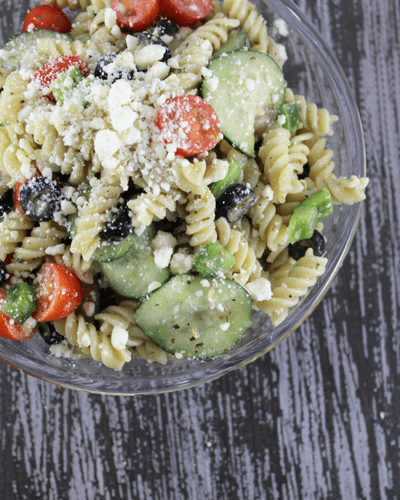 We love pasta salad in this household and always trying new ones!